This is your one-stop shop for a protected, polished look! 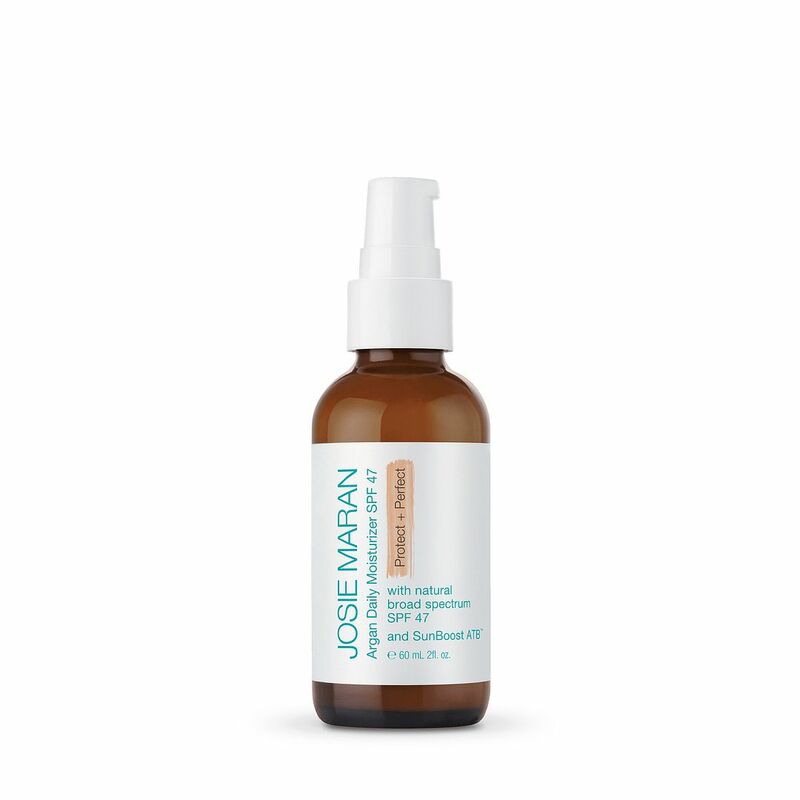 The Argan Daily Moisturizer Mineral SPF 47 Protect and Perfect from our friends at Josie Maran does triple duty by moisturizing, providing sun protection, and evening out your skin tone. Wow, that’s three products in one, so it’s a real time-saver! The magic elixir is the 100% pure argan oil, which is a powerhouse in improving your skin’s hydration and smoothness (read: reduced wrinkles and lines!). It’s packed with three essential fatty acids (omega 3, 6, and 9), antioxidants, vitamins (especially Vitamin A and Vitamin E) and minerals that promote your skin’s elasticity, and this all adds up to it being a nourishing superfood for your skin. Plus, the zinc oxide and titanium dioxide provide chemical free, broad spectrum UVA/UVB protection. Amazingly, they’ve also found a tint that works with just about all skin tones, providing light coverage to airbrush out those minor imperfections. This non-greasy formula’s safe for every skin type and free of parabens, sulfate, phthalate, and synthetic fragrance. Built-in sunscreen, moisturizer, and radiance, all in a single product with Josie Maran Argan Daily Moisturizer Mineral SPF 47 Protect and Perfect!